How does my livery look? Bare with me, I don't have Xbox live, so I can't get a proper pic. Once I obtain live though, I'd be interested in participating in Oppo's races. 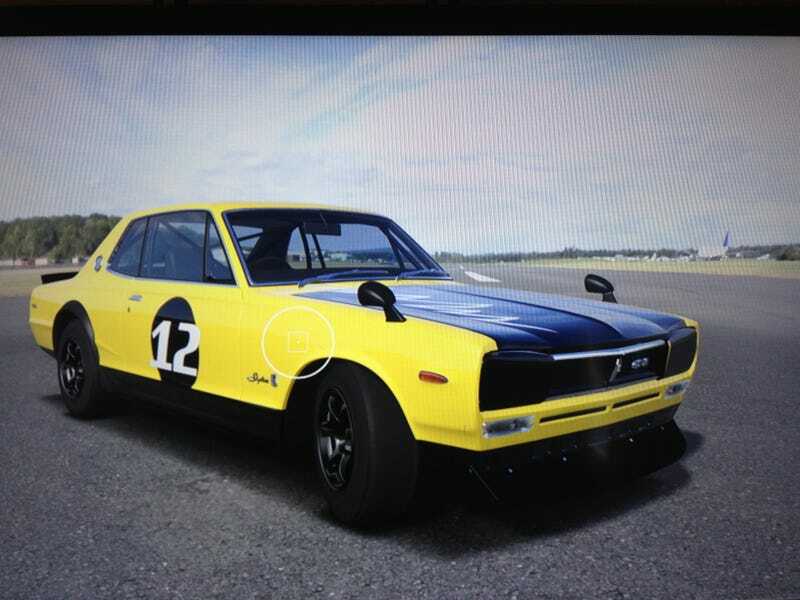 And since I have no DLC cars, I decided that a '71 Nissan Skyline GT-R would suit me just right. I wasn't sure what the base color should be, so I went with yellow because it's my daughter's favorite color (I think it is at least). I just built around that theme. It reminds me of a bee, or a wasp. Sort of aggressive looking, which I like. I do feel like the sides need something more, I just have to figure out 'what '.